Huge reversal: the EU seeks a normal relationship with Russia. It seems that the EU is being greatly affected by the actions of Vladimir Putin in Syria: suddenly the EU President Jean-Claude Junker is saying that the EU must not let the US dictate their relationship with Russia. He has demanded a normalization of relations – and indirectly, the end of sancitons. This statement is particularly noteworthy. Until now, the EU always placed emphasis on having complete accord with the Americans, with the placement of the Russian sanctions. Some time ago, the US Vice President Joe Biden made it clear that the US had urged the EU to impose the sacntions. Junkers’ big back flip is confirming the statement made by Biden. 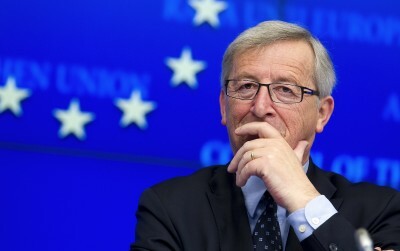 It’s hard to discern what’s really going on Junker’s mind: as late as March, Junker was demanding the establishment of a EU army, which was expressly directed against Russia: such a European army would “give Russia the impression, that we are seriously intending to defend European Union’s values”, Junker said word for word, back then.